Below are Box Office Collection Report of bollywood film 'Mulk' With his review, budget and total box office and worldwide collection status. 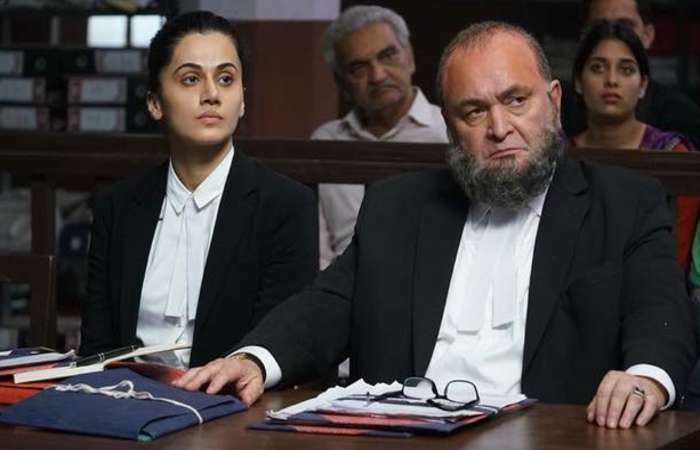 Mulk movie lead star cast is Rishi Kapoor, Taapsee Pannu. 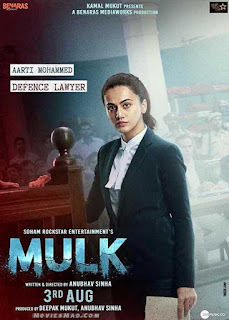 Mulk is an indian Drama Film of 2018, directed by Anubhav Sinha and produced by Deepak Mukut, Anubhav Sinha. Mulk film Released in over 800+ screens in India. The film has benefited from mouth publicity. Film Mulk, the story belongs to a Muslim family, which is termed as a traitor of the country and is forced to leave the country by giving a taunt of being a Pakistani. Rishi Kapoor's family struggles with the help of the lawyer daughter to return to the respect of his family.